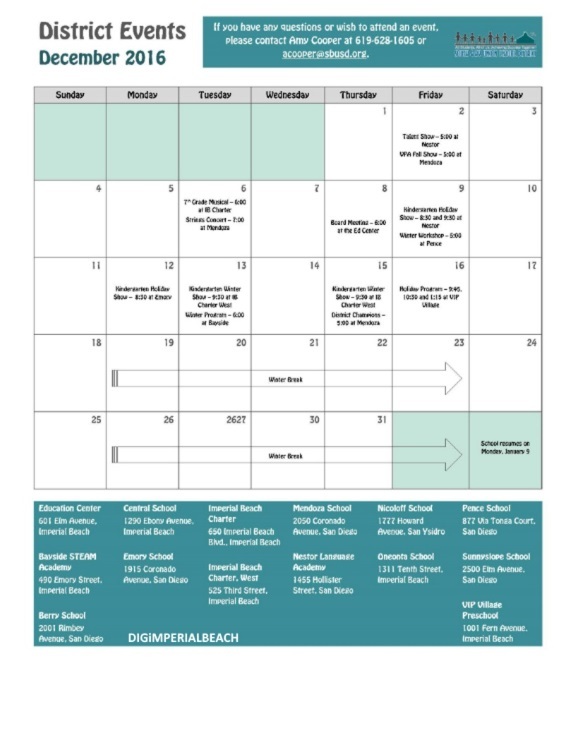 The South Bay Union School District Releases its December District Events. You can download as a PDF or there is a JPG view Available. An 8.5X11 inch PDF file is just above here. You can click on to view and or download.